I wrote “Saitou Hajime”. He was the commander of Shinsengumi. 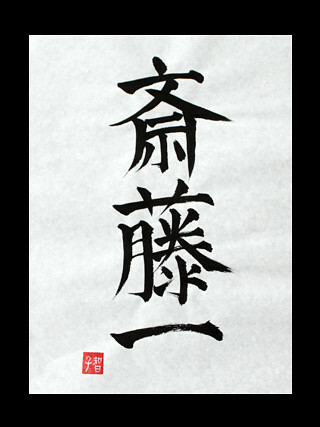 Saitou (first kanji and second kanji) is his family name. Hajime (third kanji) is his first name. He was one of the best swordsmen of Shinsengumi and one of the few survivors of Shinsengumi. He has appeared in “Rurouni Kenshin” as a nemesis of Kenshin. Next Post The hydrangea is blooming now.